The translation is not a one hundred per cent fit, however, since for whachamacallit the user is trying to actually to prompt himself or the person that he is talking to for the word that he is failing to recall. 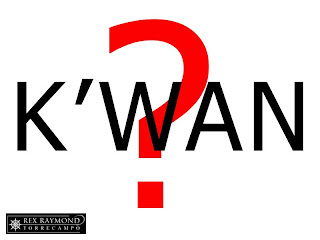 In the case of the k’wan, however, you just use it to conveniently take the place of the word that you cannot recall. Dumating si k’wan, nasabit ang k’wan sa k’wan, naku nagpakuwan-kuwan; hayun nak’wan ang k’wan kaya dinala sa k’wan. Strange as it may sound, but most Tagalogs will probably understand even that silly sentence made up of so many k’wans. 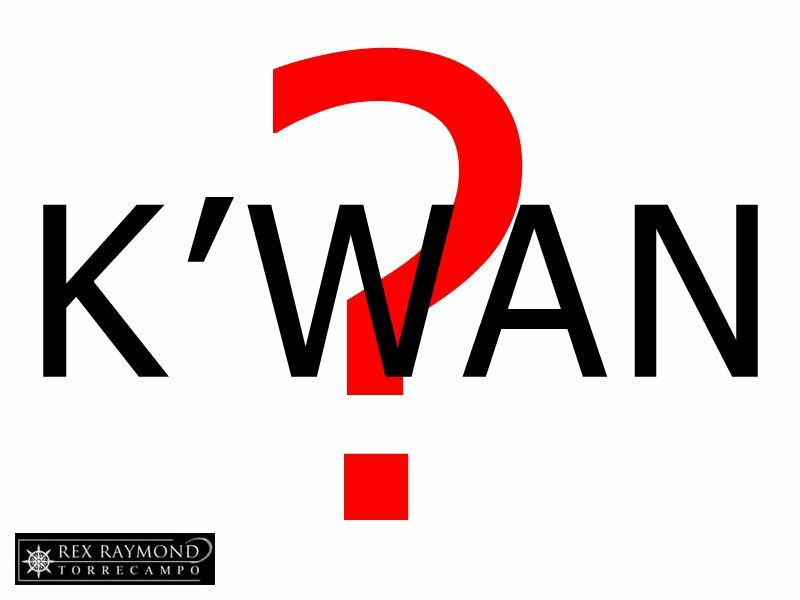 As all Tagalogs know, the word k’wan is actually a shortened version of kuwan, with the apostrophe substituting for the vowel ‘u’ as is the acceptable practice in the use of Tagalog. In truth, it is really just that convenient word that you just use to substitute for something that you cannot for the moment recall. Dumating si ano, nasabit ang ano sa ano, naku nagpakaano-ano; hayun naano ang ano kaya dinala sa ano.